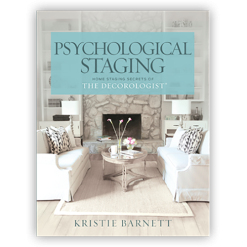 Kristie Barnett has created the Psychological Staging™ Paint Color Toolkit for every home stager and real estate professional who has ever struggled with choosing paint colors for properties that are going on the market to sell. 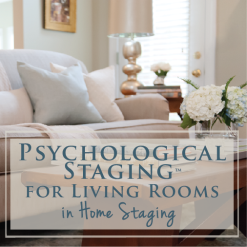 This is the most game-changing staging product you will ever use! You will look like a pro, you will feel like a pro, and homeowners will believe you are the pro, because you are utilizing a proven system for choosing the right paint colors to stage their home to sell. With tens of thousands of paint colors to choose from, how do you know which will be the most updated, appealing color to homebuyers? Since every home is different, how do you know which colors to choose for different style homes and with varying interior finishes? One paint color does NOT fit all. You don’t need intense training to make the right choice every time, you just need to follow the simple and direct instructions printed on the backs of the 15 Psychological Staging™ color boards in the Psychological Staging™ Paint Color Toolkit. 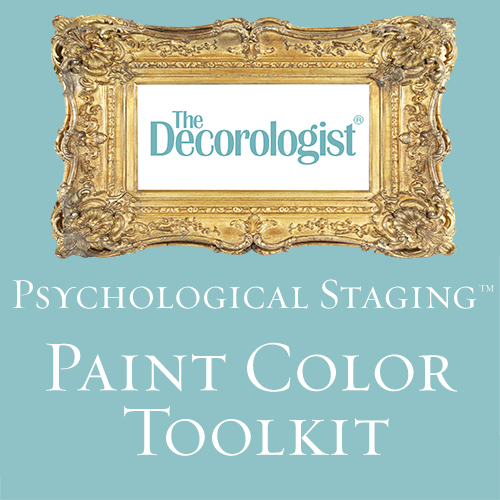 Each Psychological Staging™ Paint Color Toolkit contains 7 neutrals, 4 colors, and 4 basics, all with instructions as to where to use them and where NOT to use them. In addition, the kit includes a link to a 10-minute instructional video in which Kristie Barnett demonstrates exactly how to use the product successfully. No matter what wood tone, carpet, tile, or countertop is in the home, you will quickly be able to specify the on-trend color that will work best with total confidence. The paint boards are made using high quality SmallWall® sample boards, the industry leading product most like primed drywall for the best accuracy in testing samples. Poster and art boards are inferior, as they are more porous and may curl or tear. The SmallWalls® are painted with Benjamin Moore® latex paint in a flat finish to insure color accuracy, and can be color matched to any brand of paint you choose. Each board contains specific instructions adhered to its back, explaining where to use it and where to avoid using it, with tips for creating the most on-trend and high-end looks with the proper color placement of each color in the kit. The neutrals contain the most on-trend beige and gray neutrals. The colors in the kit will pair with any of the neutrals, and the basics will work with neutrals and colors in the entire kit. 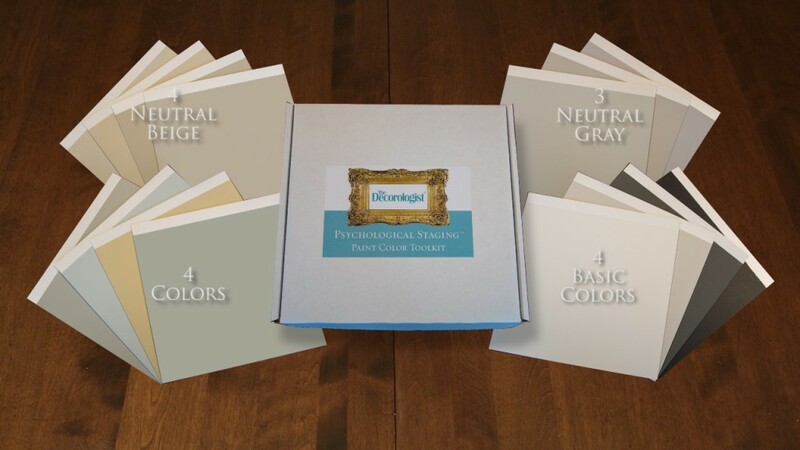 The Psychological Staging™ Paint Color Toolkit will simplify your consultations and make your outcomes unbelievably perfect every time. 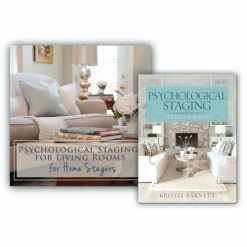 Kristie Barnett has earned international awards in home staging for three years running, won first prize in a national Benjamin Moore color trends contest, authored two books on home staging, and founded one of the most popular blogs written by a home stager. She is also developing trend-setting color palettes for one of the industry leaders in exterior building products, LP SmartSide. Note: This product is a hand-made, real-paint project that are currently produced in limited amounts. Once the kits sell out, you will not be able to purchase until the next batch is produced. Shipments to Canada will require additional tariff/duties to be paid COD to FedEx. I love using my pre-made boards! Beautiful, practical colors and such a great visual aid for clients! Using the color boards helps me feel so much more confident about my color choices. The staging color boards are one of the most useful items in my “tool bag.” They are lifesavers! Kristie’s top picks for staging colors has been priceless for my business It has made my life so much easier! Not only does it help with staging consults, but I also have used it for color consults for clients looking for a fresh, neutral look. I consider it a very powerful personal weapon for your business! The kit has truly been a lifesaver during consults where I have no idea what I’m walking into or when I get stuck trying to find that “perfect color” for a client. ***INTERNATIONAL ORDERS are subject to additional duties to be collected COD by FedEx. This will not be included in our charges.